The existing pool, a traditional T-shaped pool originally designed for lessons, competition swimming and traditional aquatic recreation, was experiencing declining attendance levels and increasing maintenance costs. 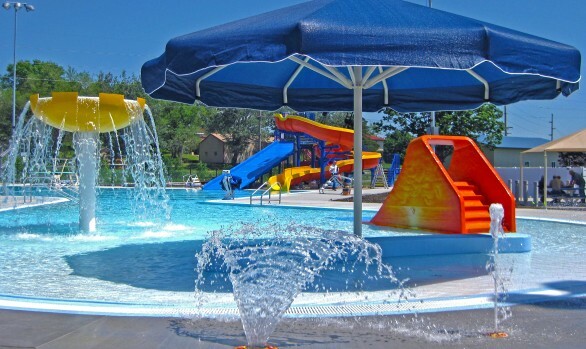 After evaluating the facility, Waters Edge engineers recommended the replacement of the gutter and the wading pools and the addition of several new aquatic features. Working within the boundaries of the original pool, the Waters Edge team designed a new zero depth entry to the main pool and the addition of a water slide, drop slide, sprays, interactive play structures, shade, and floatables. In addition, both wading pools were replaced with a large interactive play structure and spray ground.